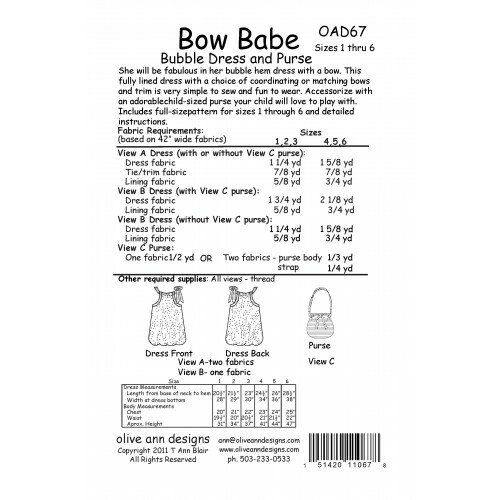 She will be fabulous in her bubble hem dress with a bow. 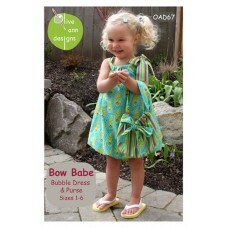 This fully lined dress with a choice of coordinating or matching bows and trim is very simple to sew and fun to wear. Accessorize with an adorable child-sized purse your child will love to play with. 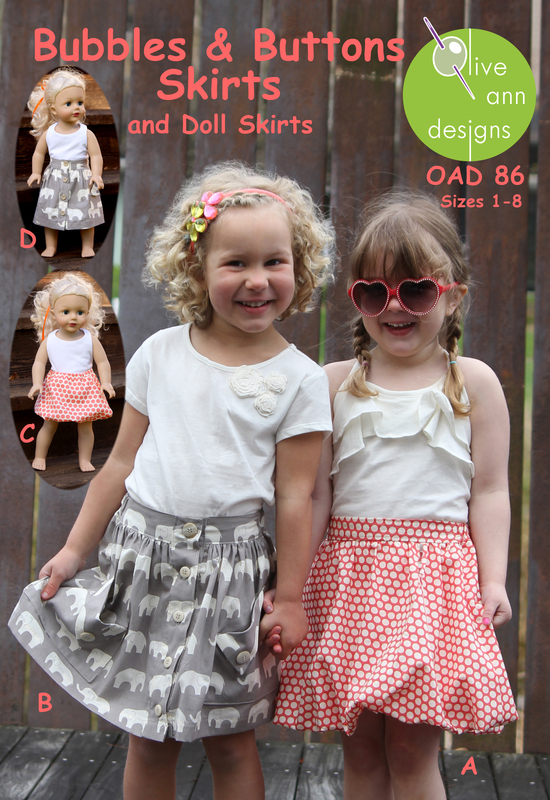 Includes full-sized tissue pattern for sizes 1-though 6 with complete, detailed and easy to follow instructions.